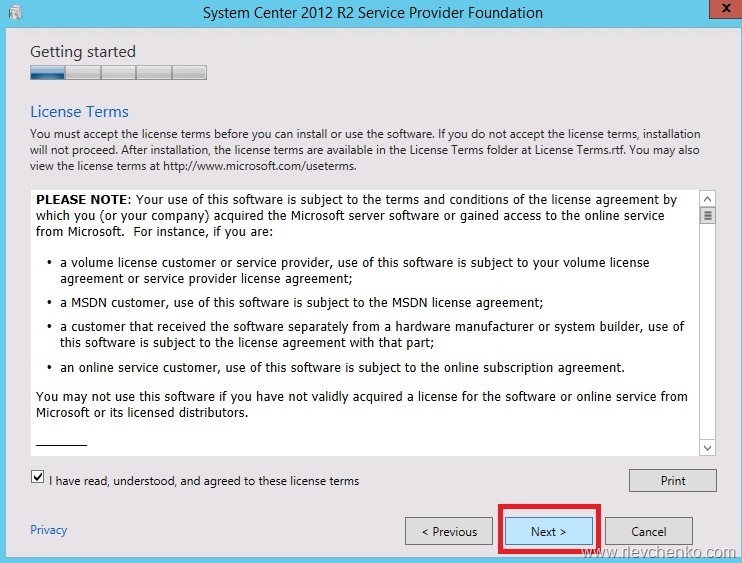 This is the first part of series of posts related with Windows Azure Pack (WAP) and VMM Clouds. 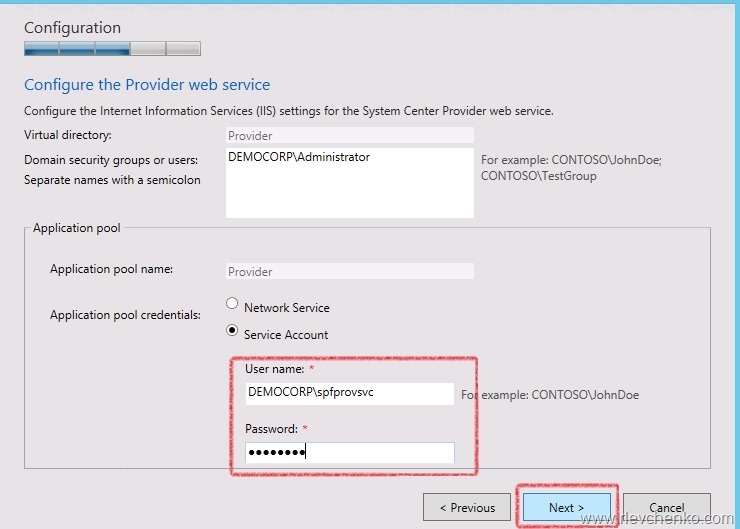 I’ll try to show you how to install all required components and connect WAP to your VMM Cloud. But now let’s talk about SPF. 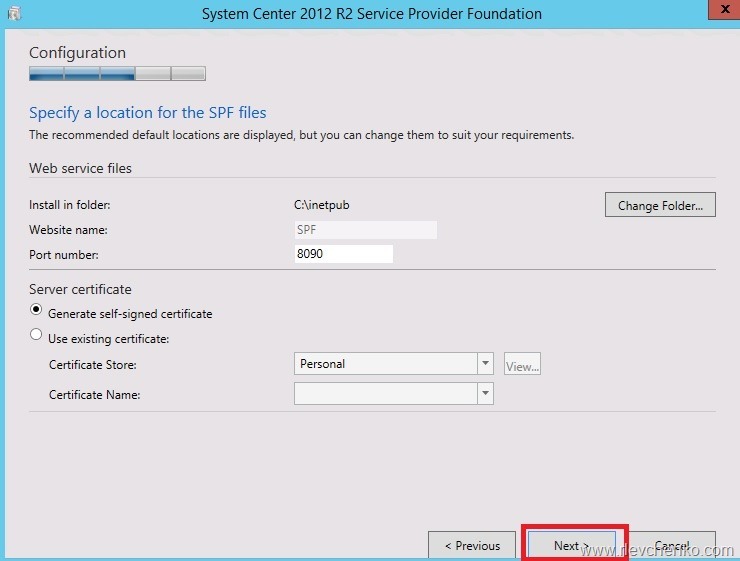 As every installation, SPF requires additional software, features and server roles. Setup wizard checks prerequisites and reports about their status. Unfortunately, there is no “button” to install all of requirements automatically. I’ve wrote a sample script to automate this process (see below). 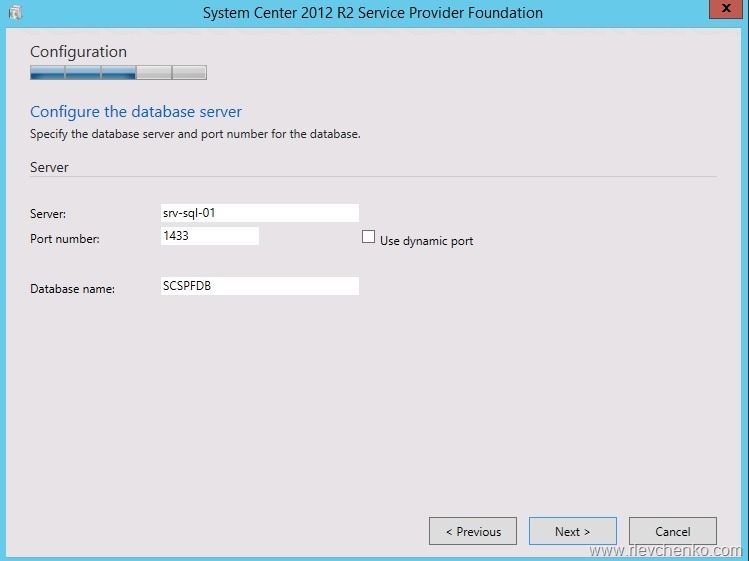 SQL Server is virtual machine srv-sql-01, SPF is the virtual machine srv-spf-01. 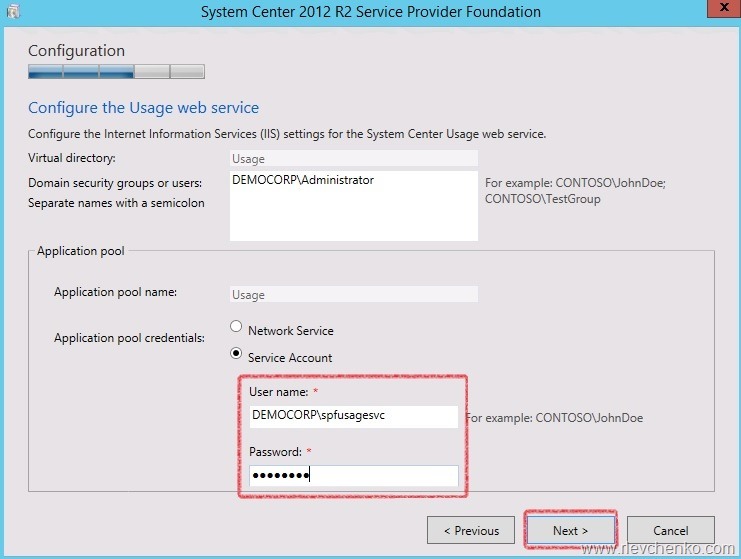 Don’t try to install SPF 2012 R2 on VMM Server. It’s not supported. However, SPF 2016 can run on the same server as the VMM (although I don’t recommend such co-existence). 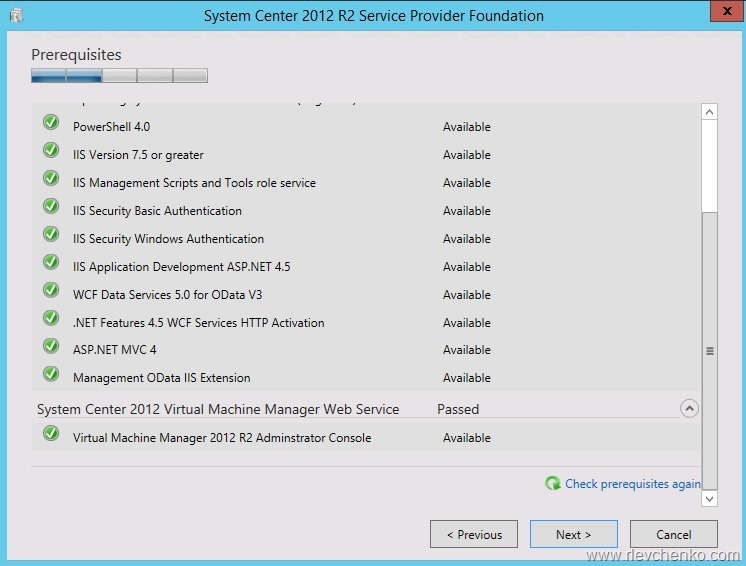 Here is the script for installation all requirements (don’t forget to install VMM console manually). Works for SPF 2016 as well. 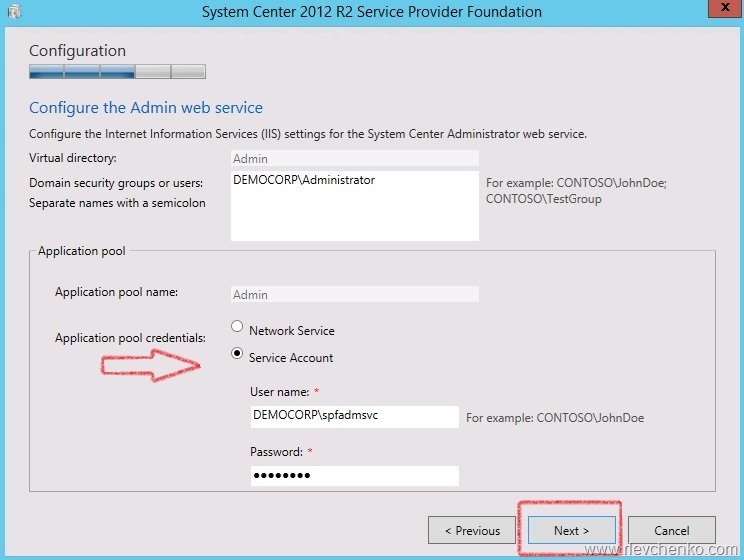 Write-Host "All prerequisites are installed. 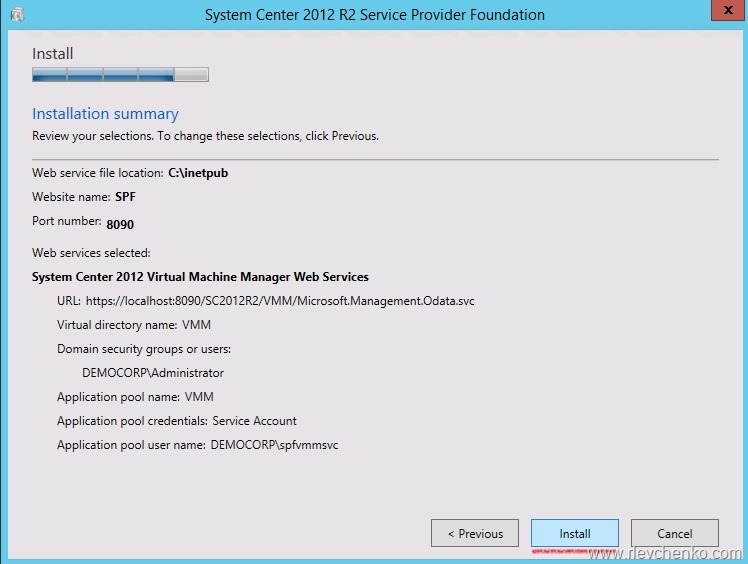 Insert VMM DVD and install VMM Console manually. 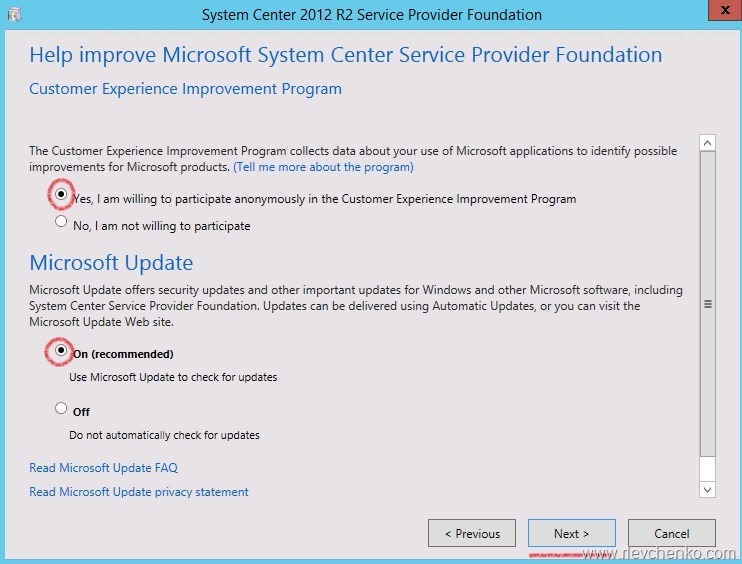 Then your environment will be ready for SPF installation"
Update SPF with the latest rollup (http://support.microsoft.com/kb/2992021) or use Windows Update. 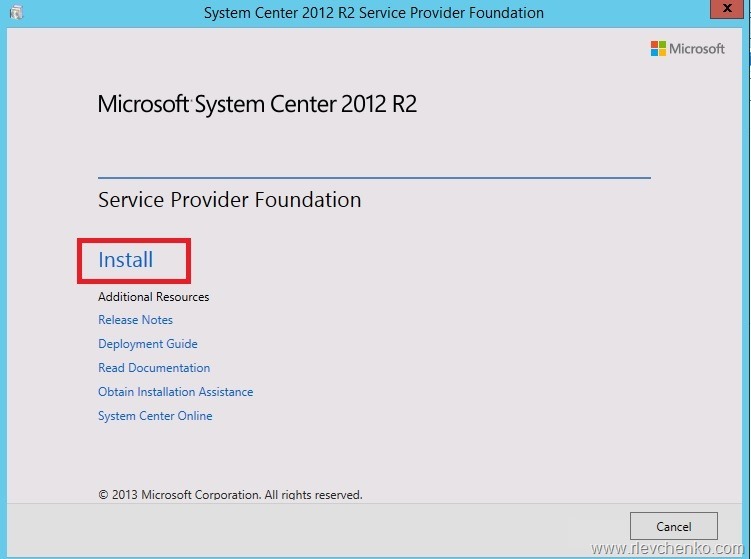 About the VM srv-sql-01 : I have to install SQL server on top of Windows 2012 R2 ? 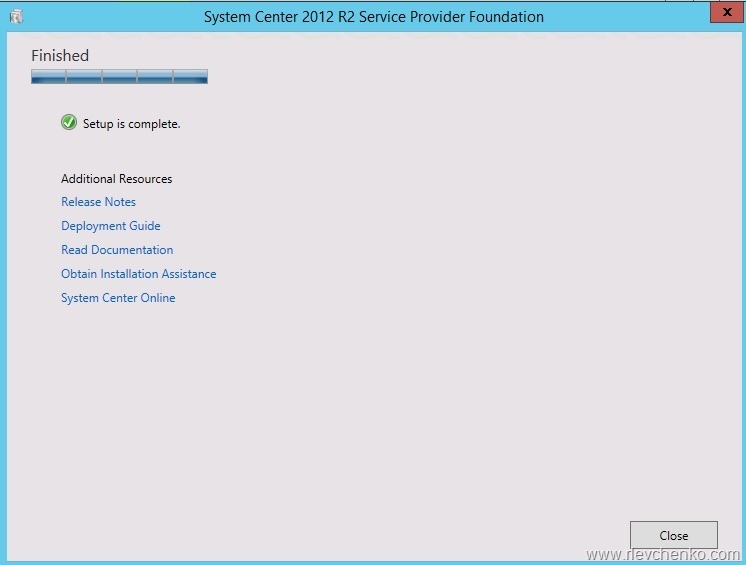 SPF 2012 R2 installation srv-spf-01 : do I have to run your script on this VM ? Where do you install SCVMM ? on a new distinct VM ? +See my previous posts (use search) about deploying or updating SCVMM (in HA as well).